When Big Arrow first started walking, he was quite the little explorer. Since then, we've had lots of fun keeping up with him and helping him see more of the world. 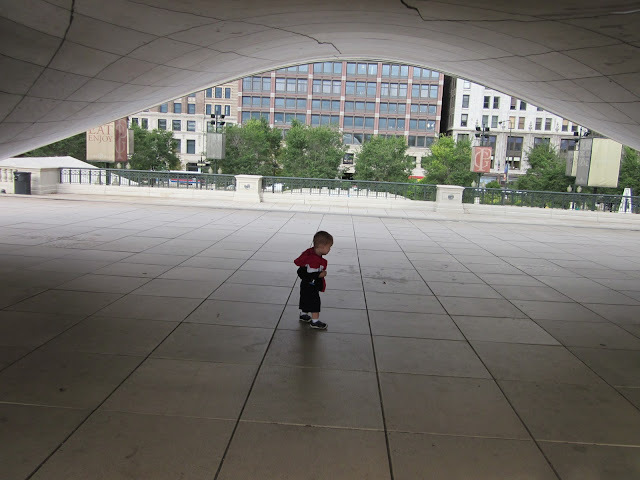 A highlight of our camping trip along Lake Michigan was spending a morning in Chicago's Millennium Park. 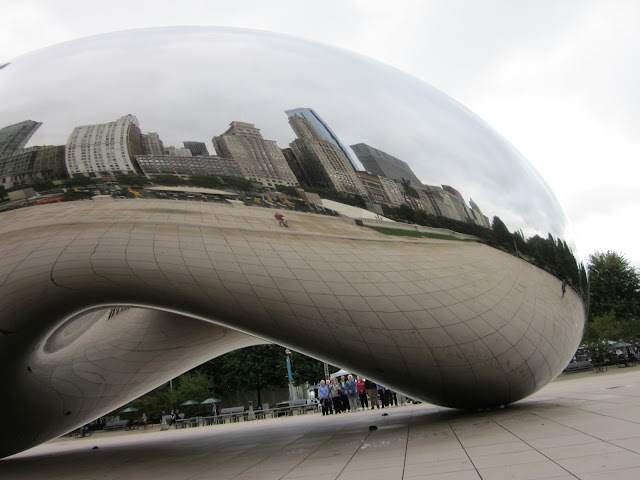 My favorite feature of the park was the Cloud Gate sculpture (or what everyone calls "The Bean.") If you like taking pictures, you'll love all the interesting shapes and reflections you can capture. Insider Tip: If you visit early on a weekday morning, it will be far less crowded and great for photos! At 9 a.m., it was just us and a few joggers. Insider Tip: If you visit with kids, I highly recommend bringing a change of clothes for them. We learned this the hard way, and Big Arrow spent the 2-hour train ride home with a wet bottom. I love an oasis of nature in the midst of an urban environment. It gives kids the freedom to run around and be themselves (especially toddlers who love a little bit of freedom), all while the vibrancy of tall buildings and city life surround you. 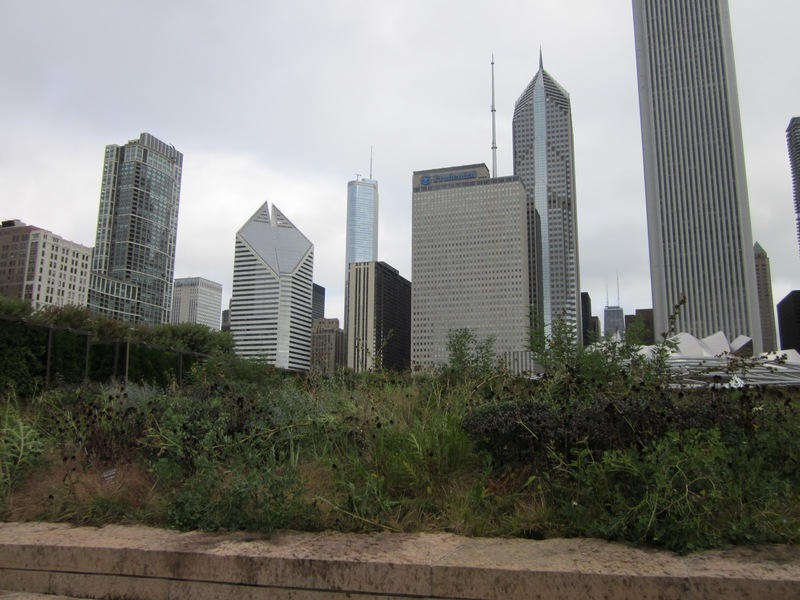 On your next trip to the Windy City, carve some time out for a stop at Millenium Park. More photos of the Cloud Gate sculpture here, and more photos of Millennium Park here. Open each day from 6 a.m. to 11 p.m. There are parking garages, but the park is served by many El lines, buses, and even has a train station beneath it. Insider Tip: In 2012, from July 2 to September 2, each day between 10 a.m. and 3 p.m., a family fun fest is held in the park. Wow! I have never seen a picture (taken by a visitor) of the sculpture with so few people in it. Beautiful! 9 a.m. on a weekday... we only saw an occassional jogger or someone cutting through on their way to work. It was awesome. I saw an engagement photo session on this exact location(4th picture). And the theme was indeed relaxing. I'm sure you felt the same way when you visited this location. Great photos! I love Chicago...one of my favorite cities in the world. Very cool photos! 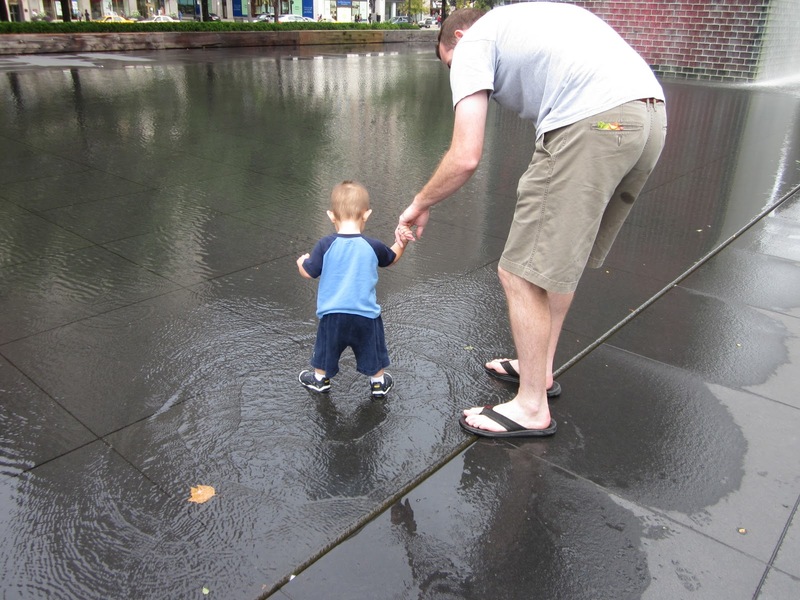 Love the one in the puddles, it captures a great moment. Too cute! Love the pics. Sooo need to visit Chicago sometime. brave boy! we love heading there - but haven't splashed in the water when it wasn't summer, LOL. What an exciting time to be exploring. Congrats to the arrow on finding his own footsteps in the world. Trust me on this one, you will one day get your own finger back. I loved taking photos of the Bean myself! I want to go see the Bean, now!